Wireless networking technology is becoming increasingly popular but at the same time, had introduced many security issues. A wireless local area network (WLAN) allows workers to access digital resources without being tethered to their desks. 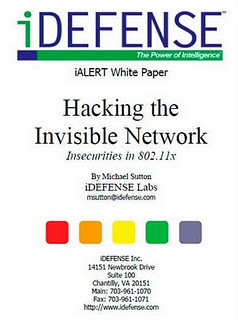 Tools to identify WLANs, break WEP keys and capture traffic is discussed in this book.